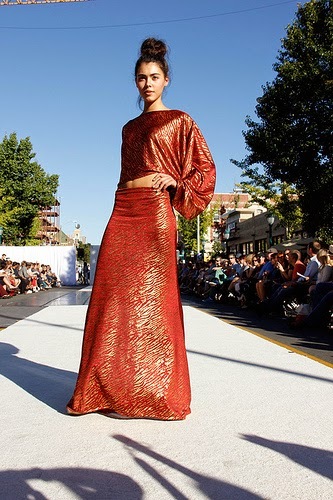 This year, the annual Style in the Loop fashion festival partnered with Alive Magazine to join the Saint Louis Fashion Week lineup. Held in the eclectic entertainment and shopping district lovingly referred to as "The U City Loop" by locals (AKA the neighborhood in which I grew up), I knew this show would rock. 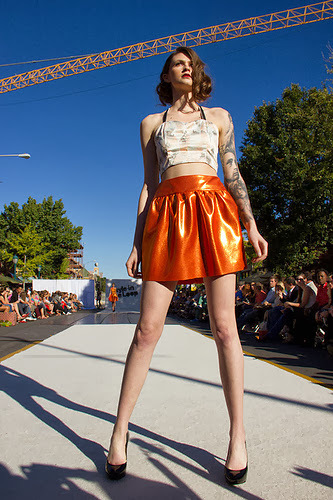 The Loop is typically an informal parade of innovative garments, ink and piercings, street performers, vintage fashions, and fearless trendsetters. In other words, anything goes. Refreshing, right? 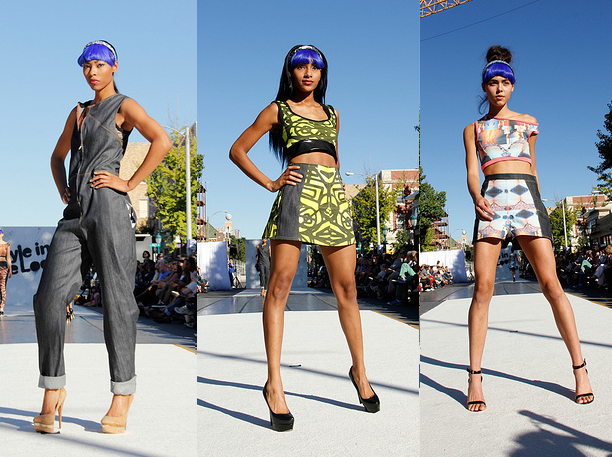 True to form, the Style in the Loop showed an exciting array of local designers' collections. For my look, I went for a classic girlie-grunge combo with a leather vest, ruffly dress and studded boots.